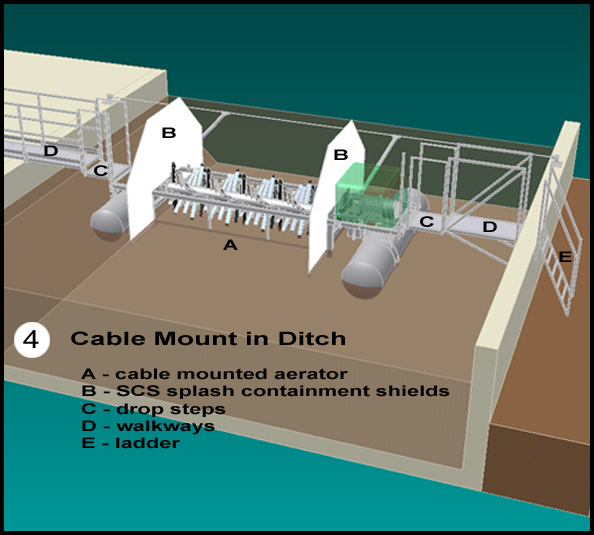 3D | S&N Airoflo Inc.
1. 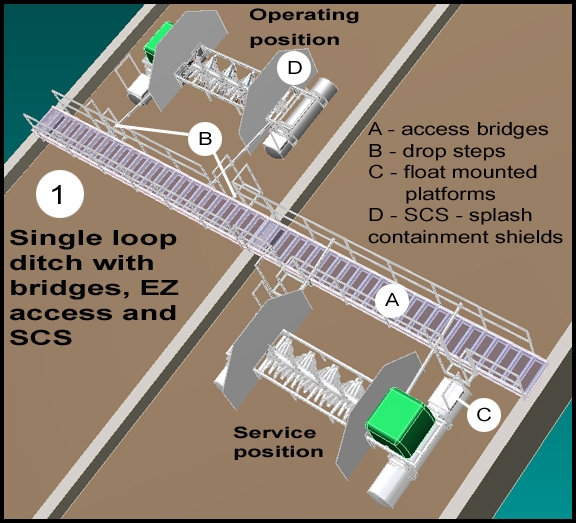 Single loop ditch with bridges, EZ access, & SCS. 2. 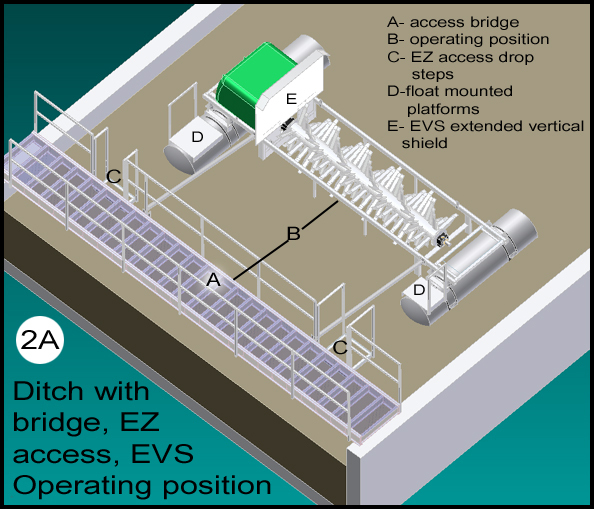 Ditch with bridge, EZ access, EVS, with aerator in operating position. 2B. 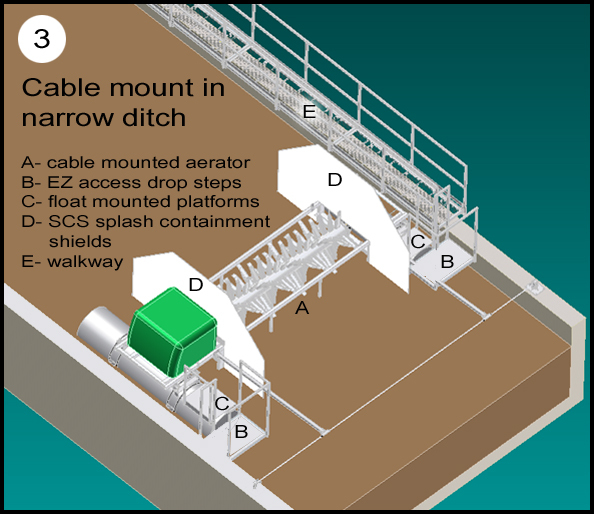 Ditch with bridge, EZ access, EVS, with aerator in service position. 3. 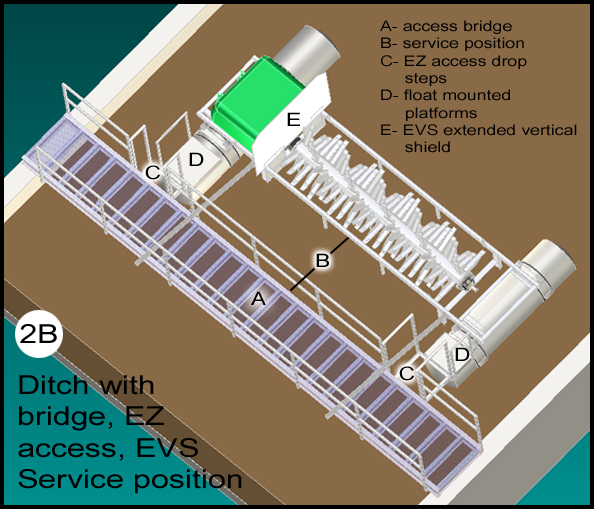 Ditch with bridge, EZ access, EVS, with aerator in service position.